It really isn't a big deal, but I did something today that I absolutely LOVE. 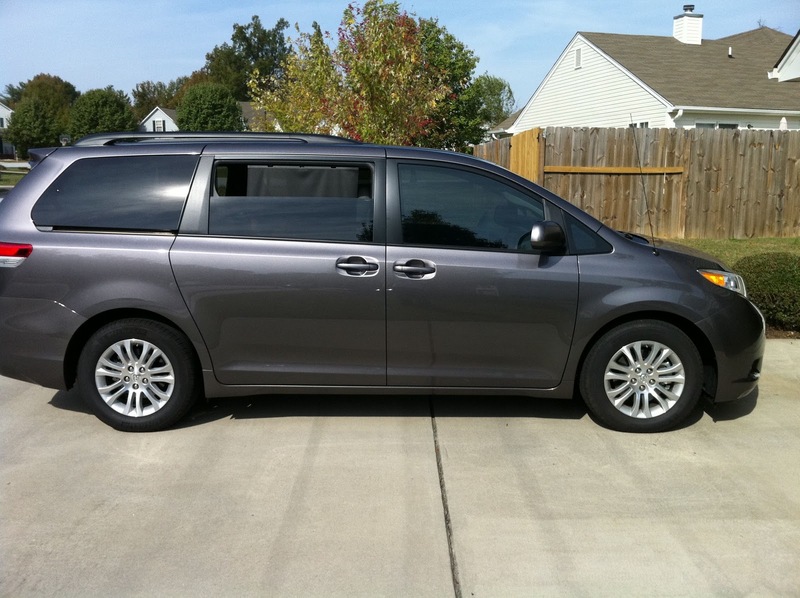 My sweet Sienna -- such a lovely ride -- had been lacking slightly in one specific area. 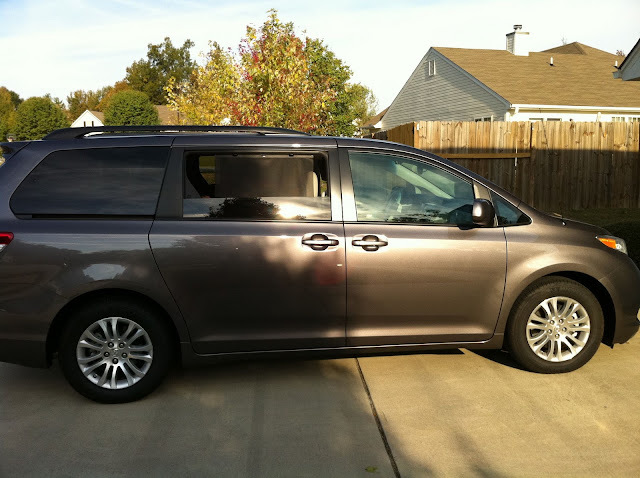 There was something about it that made it so "minivan-y" and had been on my nerves for a while now. Last week, I finally decided to do something about it. I called our Toyota dealership and asked them how much it would cost for this after-market accessory type thing, and when they told me $99 including a lifetime warranty!? I was sold. I scheduled an appointment and the kids and I took her in this morning. Did ya see it? Notice the subtle difference? Okay, I'll give you one more chance, from a different angle. Oh, and for those of you who are finding it impossible to spot the difference... I had the driver and passenger windows tinted!!! Wow, that's great - how fun! 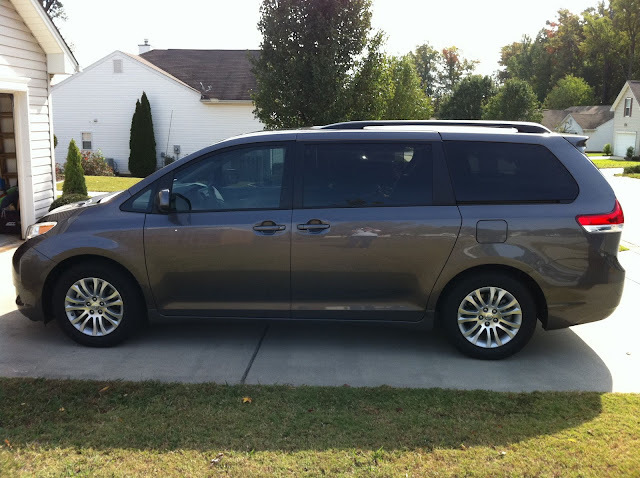 Do you like your Sienna? 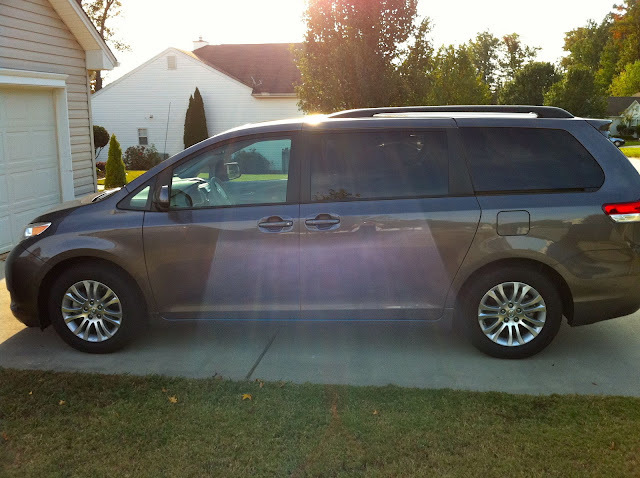 I was just telling hubby the other day that's what I want when we get rid of my car someday! Rock on, Jennifer! You nailed it! And Amy, I L-O-V-E our Sienna (a.k.a. "Swagger Wagon")! I'm so surprised I stumped so many with this one! Haha! Ha! It took me about 15 min to figure this out too, but I finally did! It looks good.